Ikwo, Nigeria — Chinyere Francis loved working on her farm in the rural town of Ikwo in southeast Nigeria. But she worried that neither her earnings nor her husband’s $15 monthly income as a pastor in his local church were enough to take care of their growing family. With the latest addition—their tenth child—the couple appeared exhausted at the prospect of yet another mouth to feed. “I wanted to stop having children, but since I didn’t know how, they just kept coming,” said the 36-year-old wife and mother. 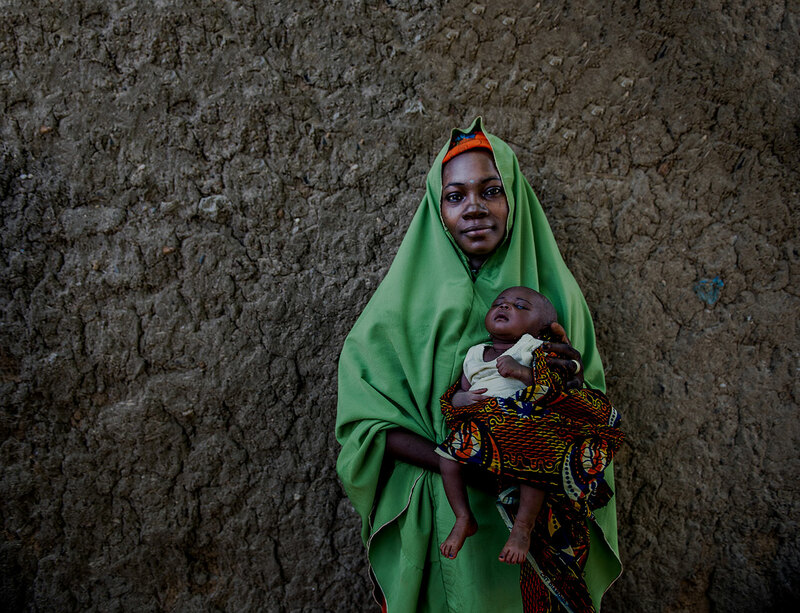 Women in Nigeria have an average of 5.5 children and often face real risks of complications or death when giving birth. With the lifetime risk of dying from complications of pregnancy in Nigeria at 1 in 22, Chinyere felt extremely lucky to have safely given birth to 10 healthy children. Yet she feared she might get pregnant again. Like so many women of reproductive age in Nigeria, Chinyere never used contraceptives. Only 11% of Nigerians use modern contraceptives, and 16% of married women who want to space their next pregnancy or stop childbearing completely aren’t using contraception. Some of the factors behind these numbers include a lack of knowledge about family planning among potential users and a shortage of health care providers with the right family planning skills and knowledge. 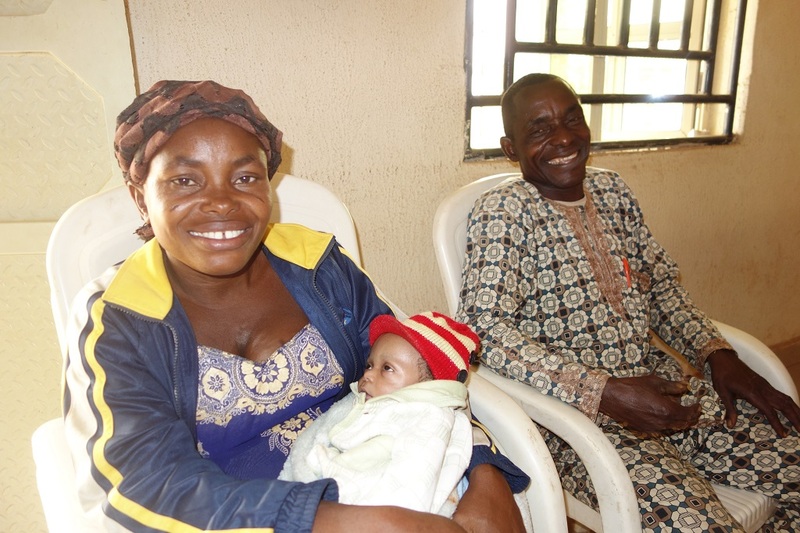 Above: Families like that of Chinyere Francis benefit from the training of more than 220 health care providers in delivering safe, effective family planning services. 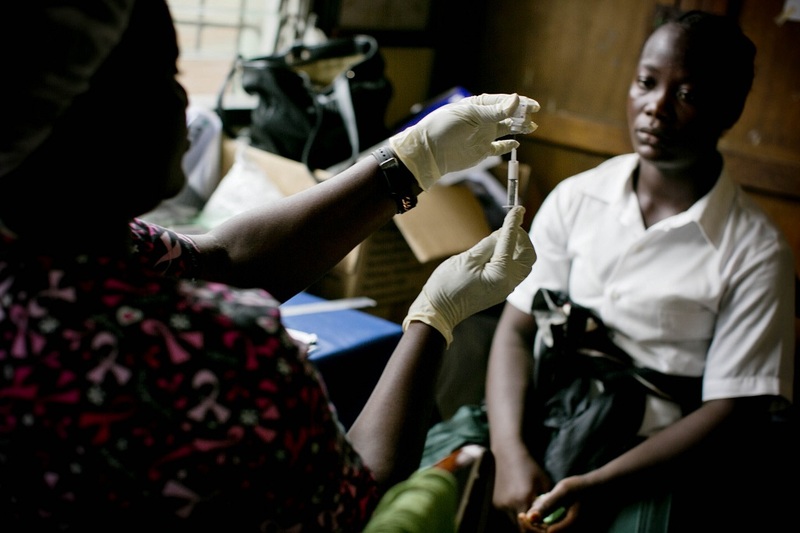 [/vc_column_text][vc_empty_space height=”40px”][vc_column_text]Within six months of the start of the training program in December 2015, more than 1,700 women in Ebonyi and Kogi States received family planning counseling following the birth of a child. Between January and August of this year, 527 of these women received their choice of a modern contraceptive—a promising development in two states where acceptance of family planning methods has been low in the past. Chinyere and hundreds of other women in Ebonyi and Kogi States are now able to prevent unintended pregnancies, safeguard their health, limit their family size, focus on their livelihood and lighten the burden of family responsibility.